Many people wonder about the words of our Lord in Matthew 5:22, especially about His warning that calling someone a “fool” puts you “in danger of hell fire.” However, our Lord is not really addressing the problem of name-calling in this verse, but the problem of illegitimate anger, especially that which escalates to the point of homicidal intent. To really understand Matthew 5:22, one must first understand a couple of things about our Lord’s famous Sermon on the Mount, of which this verse is a part. Let’s be honest, most people do pretty good as long as things are going good. It’s when things go wrong, however, that we normally get ourselves in trouble by reacting in the wrong way. Thus, it’s our reactions rather than our actions that most often get us into trouble. In His famous Sermon on the Mount, Jesus teaches us how to react in the right way whenever things go wrong or we suffer wrong. Second, in the Sermon on the Mount, Christ internalizes the law. He shows how sinful actions stem from sinful attitudes. Therefore, it is not just our sinful external actions that consummate the breaking of God’s commandments, but also our sinful internal attitudes. In fact, if it were not for sinful attitudes there would be no sinful actions. Consequently, both are to be avoided, since both constitute the breaking of God’s law. In Matthew 5:22, Jesus is explaining how murder—the breaking of the sixth commandment—stems from anger. He therefore extends the sixth commandment beyond “Thou shalt not kill,” which He cites in verse 21, to include “Thou shalt not be angry with your brother without a cause,” which He now commands in verse 22. Notice, all anger is not causeless. There are occasions when one’s anger may have a legitimate cause. For instance, the Bible plainly teaches that there were occasions when Jesus got angry (Mark 3:5; John 2:13- 16). Yet, the Bible also teaches us that Jesus never sinned (2 Corinthians 5:21; 1 Peter 2:22; Hebrews 4:15). In Ephesians 4:26, the Apostle Paul admonishes us “to be angry and sin not.” Again, the biblical implication is clear; it is possible to be angry without sinning. 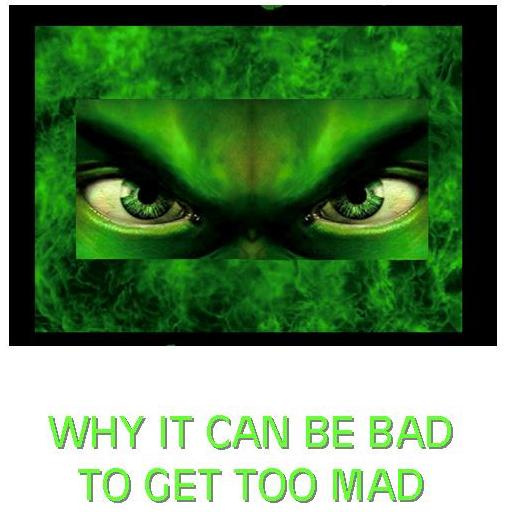 It is possible to have a legitimate cause for your anger. When such is the case, anger is not a sin. On the other hand, causeless anger is prohibited by Christ, not only because it is sinful, but also because illegitimate anger leads to illegitimate actions. According to Jesus, illegitimate anger not only leads to illegitimate actions, but it can also escalate and increasingly imperil the soul with each intensifying degree. To further warn us of the dangers of illegitimate anger, Jesus pinpoints for us in this verse the three intensifying degrees of escalating anger that progressively endanger our immortal souls. Have you ever caught yourself in an angry argument with your spouse, an argument within which you are both getting angrier by the moment, despite the fact that neither of you can remember how the argument got started or what it’s about? This is a telltale sign that something is wrong in your hearts and home. It’s much more than a simple disagreement. It’s symptomatic of a far more deep-seated problem. Many people today are angry all the time. They walk around mad looking for someone to vent their anger on. Although they attempt to justify their tirades by another driver’s failure to turn on his blinker light or some cashier’s shortchanging them a nickel, there is really no justification for them coming unglued every time someone fails to perform perfectly in their presence. “Raca” was an Aramaic word that meant “empty one.” To refer to someone in so demeaning a way was to reduce them to insignificance. Once your anger has reached this point, it has skyrocketed to the place where you no longer see anyone but yourself as significant. No one’s opinion matters but yours. No one’s wishes matter but yours. Once you start viewing others as your inferiors and start becoming infuriated at them whenever they don’t agree with you or cater to you, you’re “in danger of the council.” The council Jesus was referring to was the Sanhedrin, the Supreme Court of the Jews in Jesus’ day. In our day, we would not say that such escalated anger puts us in danger of the council. Instead, we would say that it puts us in danger of running afoul of the law. Once we’ve adopted such a superior attitude toward others we become far more likely to commit crimes against their person or property. The final degree of soul-imperiling, escalating anger that Jesus points us to is the pinnacle of the perturbed. It is the place where one totally disregards the sanctity of someone’s life with whom they are angry. The Greek word Jesus uses for “fool” in this verse meant more than mental dullness; it meant “moral worthlessness.” It was not just the demeaning of a man’s mind, but also of his heart and soul. Thus, to call someone a “fool” in this sense of the word, was to believe that they were so insignificant that their death would be of no real consequence. Obviously, when anger escalates to this point it spawns murderous intent in the heart and leaves one with no qualms about taking the life of another. The word Jesus uses for “hell” in this verse is an interesting word. It comes from the Greek word “Gehenna,” which meant “the Valley of Hinnom.” The Valley of Hinnom was a valley south of Jerusalem where continually burning fires consumed the city’s refuse. Along with the city’s refuse, the corpses of executed criminals; such as the corpses of murderers, were also burned at Gehenna. For someone to nurse their anger toward someone to the point where they developed a total disregard for the sanctity of that person’s life was for them to “be in danger” of having their corpse tossed upon the continually burning fire of Gehenna. However, even worse than the danger of Gehanna’s fire was the “danger of hell fire.” In this verse, Jesus is solemnly warning those whose anger has escalated to the point of spawning murderous intent in their hearts that they are not only in danger of suffering capital punishment at the hands of man, but also in danger of suffering eternal punishment at the hands of God. That fallen man is often guilty of unfathomable foolishness is undeniable. The Bible itself identifies atheists (Psalm 14:1; 53:1), blasphemers (Psalm 74:18), hypocrites (Matthew 23:15-17; 25:1-13) and unbelievers (Matthew 7:26-27) as fools. Ironically, in light of this study, the Bible even identifies hotheads as fools (Proverbs 12:16; 27:3; 29:11; Ecclesiastes 7:9). Although it is advisable for us to leave the designation of fools to God alone, what Jesus is really prohibiting in this verse is soul- imperiling, escalating anger—an anger that escalates from causeless, to self-centered to homicidal. You have the author's permission to print and freely distribute to others this entire manuscript or any portion thereof. If you would like to help us continue to offer complimentary resources, like The Danger of Soul-Imperiling, Escalating Anger in Today's "Age of Rage, you can make a tax-deductible donation to "Time For Truth Ministries." All contributions should be mailed to: Time For Truth, P. O. Box 811, Townsend, TN 37882.